Allen Kedea is a well respected Producer and DJ in the Papua New Guinean music industry. He has worked with some of the countries biggest acts throughout his career, as well as composing for documentaries, national & international events and advertising campaigns. Allen was head judge on the national singing competition reality TV show Digicel Stars in 2010 and touring with the National break dance competition ‘Urban Bounce’ in 2009/10. 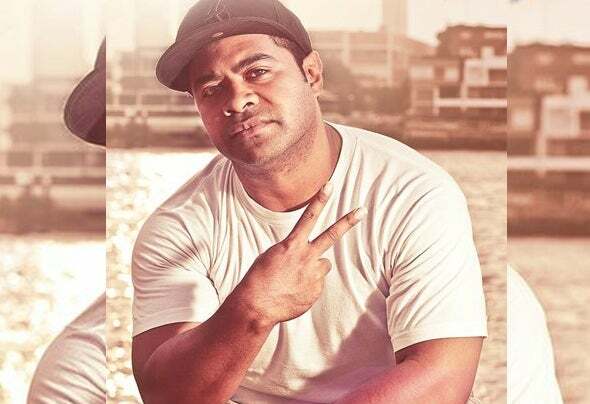 The song “South Pacific Beauty” written by Allen and sung by Hanley Logoso became a #No.1 hit on the Yumi-Fm national charts (PNG) and is the first release from Allen’s 2nd studio album under his DJ name AKay47 titled ‘Brand Niu Day’. Allen was also asked to produce the winner for Digicel Stars 2010 Greg Aaron, which is soon to be released (July 2011). Allen has worked in various capacities as engineer, producer, song writer and music director with many events and artists such as Moses Tau, Steve Lahui, Lista Laka, Dika Dai, Oshen, Twin Tribe, Justin Wellington, Alyson Joyce, Bemu Kidu and Animal Audio to name a few. In 2009 Allen was music director for the PNG National Games and in 2010 music director for the Miss South Pacific Pageant. Allen Kedea was producer for the Hip Hop outfit Massive Sound System who performed for the national launching of Digicel (PNG) 2007. The debut album ‘Pride Neglect Greed’ for Massive Sound System had a hit with the pop release ‘Everywhere’ featuring Alyson Joyce. The 2nd album for Massive Sound System had a major hit ‘Solwara Meri’ which reached the top 10 on the national charts. Then in 2009/10 Allen released his debut ‘Elevation Collaboration’ which had his first song “Soseksi” reaching #No.1 on the Nau-FM charts (PNG) and second single “Kudougu” reaching the top 5 in the Yumi-FM national charts (PNG). This was supported with a national DJ tour in 2009 to all major city’s in PNG including Lae, Kokopo, Mt Hagen, Bouganville, Alotau and Port Moresby. Allen has held club residencies as a longstanding DJ since 2001 in Brisbane’s Fortitude Valley (Monastery, Empire, Family, Birdee Num Num), Brisbane City (Hotel L.A, R-Bar, Embassy) and West End (Uber, Zomba) and has done overseas shows in Fiji, Australia, PNG and Solomon Islands. Allen’s film and television credits of recent months include composing and arranging music for the Southern Cross University advertising campaign (Australia), and for the Oak Tree Retirement advertising campaign (Australia), Coca Cola Amatil (PNG) ‘Open Happiness Campaign’, RH-Hypermarket, Digicel PNG National Campaign, Digicel Cup (PNGNRL) 2010 Theme Song. He also produced music for the documentary “Home for Hawksbill” directed by Jordan Plotsky. He will soon be support DJ touring PNG with Justin Wellington and the group Jokema and is working from his Port Moresby studio. AKay47 is currently working on his 3rd album and an EDM EP!